NBR rubber covers are easy to attach, adjust to stay put, and protect ocular and objective lenses from rain, snow, dust and abrasion. do you make lens covers for a steiner 5-25x56 military riflescope? I have not been able to find any. The scope should have come with covers, they originally shipped with Butler Creek Flip-up covers. If you would like to start a Customer Service case at www.steiner-optics.com/repairs and supply your address and the model of scope you have, we'll be glad to supply those covers. Otherwise, they can be purchased at most sporting goods stores. I have a Steiner Ranger 10x42 and which front lens cap will fit? Do you make objective lens flip cap covers that will fit the Wildlife XP 8x44 ?? 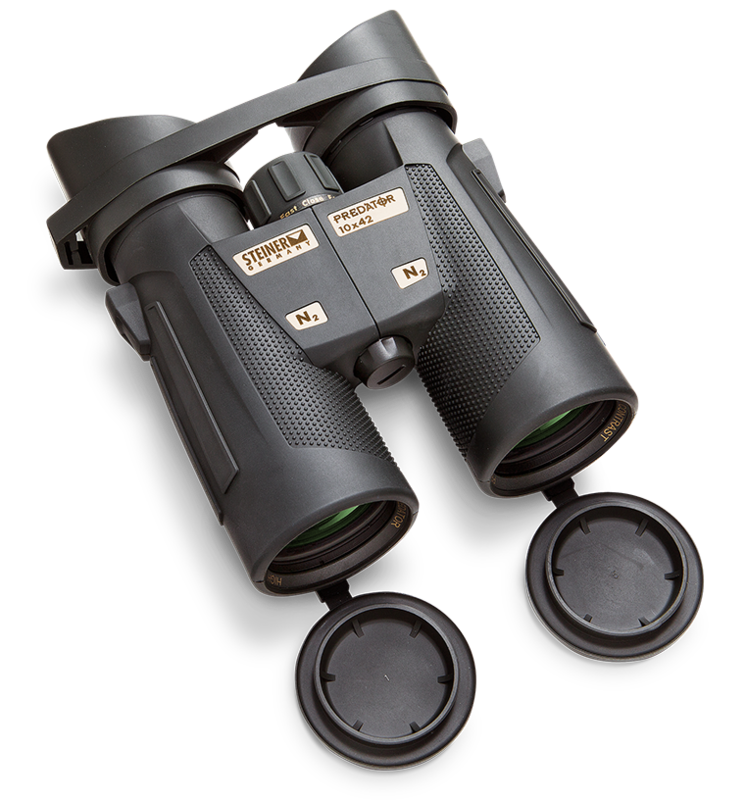 Unfortunately no, the one-piece lens covers that are included with the Wildlife XP binoculars are the only style currently available that fit. We recommend commercially available lens wipes or pure rubbing alcohol on a Q-tip. Steiner Parts Direct (Direct Brands, LLC) is the go-to resource for Steiner repair parts: http://www.steinerpartsdirect.com/accessories/steiner-458-10x42Merlin/24.html Alternatively, you may create a case on the customer service portal, or give us a call to arrange for the binoculars to be repaired under the Heritage Warranty. Your website doesn't have objective covers for 10x42 night hunter xp , where can I get it ? I want Steiner sagor 7&times;50 Rear lens cap and neck strap how can get it?? I have a Steiner discovery 10x44, and the eyepieces broke after short time of use, probably because they were made of thin plastic. except for this, the binoculars are fantastic. Is it possible to buy new ones, or another type?